This website is a directory of local farms all over the U.S. True, this is mostly about vegetables (have you signed up for your 2012 CSA yet? ), but you can also search by product, including...ta-daa! Fiber! You can also look specifically for wool, angora, etc. 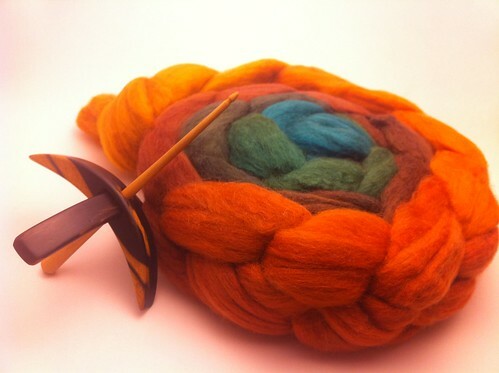 You can even join a Wool CSA through the website! I mean--OMG! 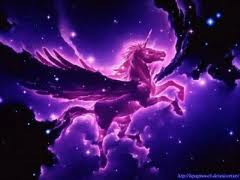 Isn't that completely fantastic?!? I love the internet more every day. *Disclaimer: sadly, this is not actually a picture of a road-side wool stand, it's just what I imagine they would look like. Last week, temperatures in New York were in the mid 70s. I was of two minds about this. 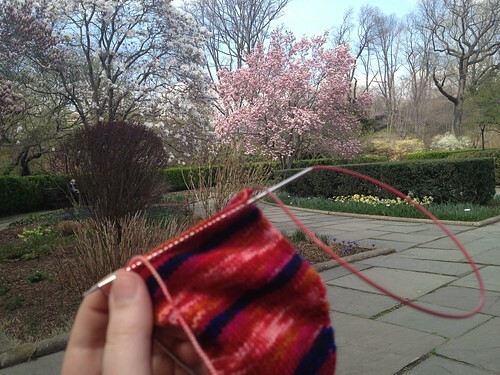 For one, it was great to sit outside and enjoy the blooming magnolias and other flowering trees on my lunch break. On the other hand, I mourned that we never had real winter in the city, and I never got to wear my winter boots or trudge through Fort Tryon park in the snow on my way to the Cloisters, my favorite snowy day activity. Moreover, I was worried that I had missed the window to finish the crochet blanket I started in January. It's really warm, and to weave in all the ends, I was pretty much going to have to sit with it on my lap. I overheat really, really easily. Was I doomed? Then the weather turned! 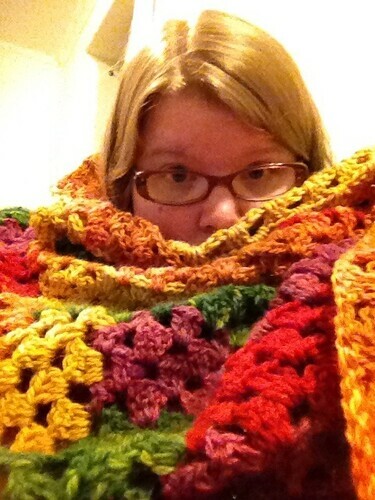 This week has been legitimately chilly, so here's my finished afghan. 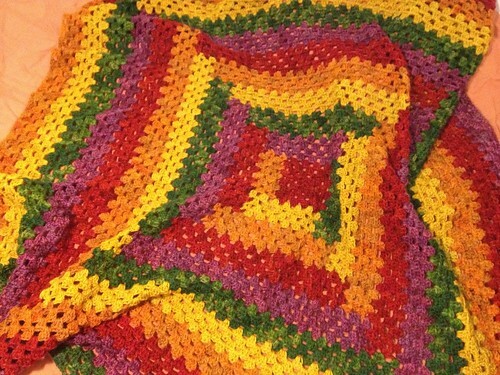 I love quilts, but I'm intimidated by quilting, plus I don't have a sewing machine, so I like crocheting quilt patterns. I have actually done some quilting though, back in the day when I took the school bus out to the Leerkes' farm once a week to get sewing lessons from Mrs. Leerkes. She taught me that the center square of a log cabin quilt must be red, to represent the hearth of the cabin, so I kept the tradition in this afghan. I'm really happy with this aghan, so now I am in the preplanning stages of crocheting another quilt based on the Drunkard's path quilt pattern. It was actually cold enough to snuggle under this blanket last night. 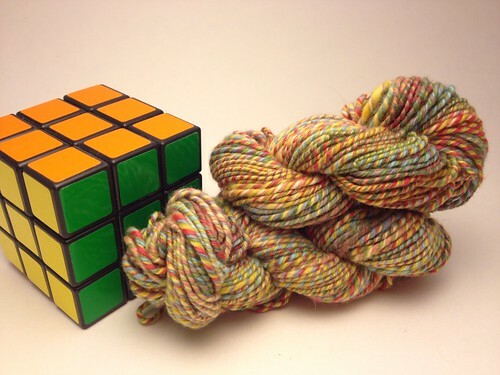 There's a thread on Ravelry I first learned about from Jenny Jo that's a gallery of photos of unspun fiber, the finished yarn, and then the object knit from said yarn. It's a glorious thing to behold, full of surprises and sublime levels of talent. I was so excited about my February yarn that I knit it right away, so now I have the sequence of photos to contribute to the thread. 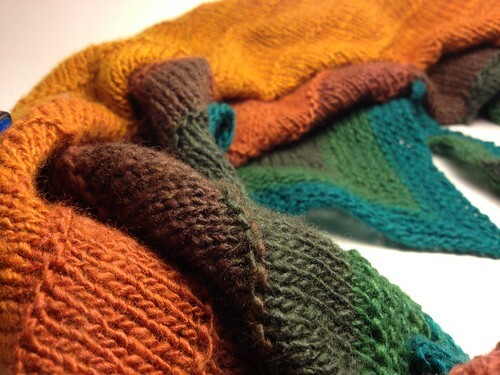 I have lots more photos on my Ravelry project page, if anyone wants to check it out. I wish my photographic skills gave a consistent representation of the color of this project, but alas, those are not skills I have. The Yarn Harlot's been on a spinning kick lately, and she said something that resonated with my thoughts on spinning at the moment, namely that she thought when she started spinning that she'd spin most of the yarn she used. That's not how I felt starting out, but it's totally how I feel these days. With the exception of things like blanketsworth of yarn (stay tuned, because I have a blanket FO to show you as soon as I weave in the ends and take photos), and probably some sock yarn, I think I would be really happy spinning for all my knitting/crocheting. 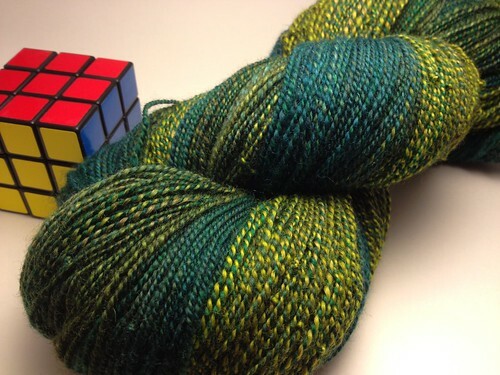 Just look at these other two yarns I've finished this month! I feel like I have to put them to the top of the priority list because I'm in love with them both. 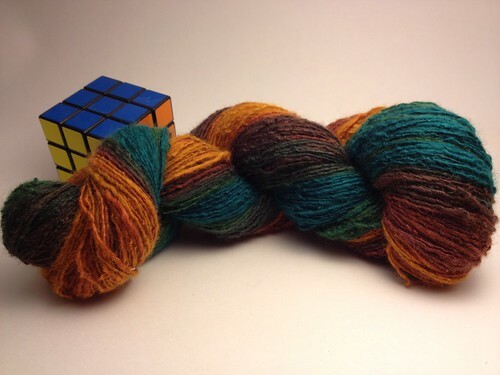 I don't know that I'm feeling quite ready to destash all my commercially spun yarn and start from scratch, but I can say it's a tempting idea.